Shareholders have the option of picking up from our Spartanburg location on Bl﻿ackstock Road, or our Greenville location outside of EarthFare. Please indicate when you reserve your share. Robin recommends bringing your own tote bags as the produce is not pre-packaged. 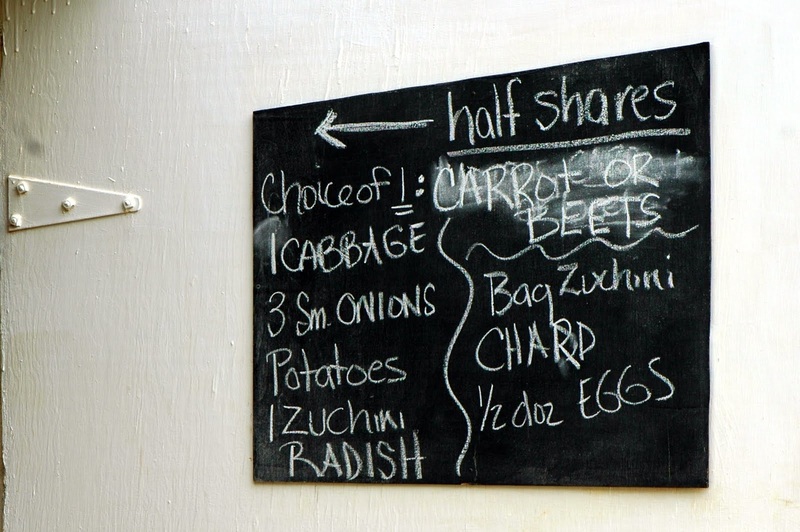 The vegetables will be arranged on tables and signs will indicate the weekly portion for full shares and half shares. The 3-acre "farmette" is the site of Robin's grandparents' farm and where Robin grows the majority of her produce today. Adjacent to Bonnie Plant Farm in Fairforest, it can be accessed from exit 68 off of I-85. Pick-up is from 4:30-7:00 on Tuesdays. Robin delivers the produce to her Greenville customers in the Earthfare parking lot on Pelham Road. Pick-up is at 7:30 on Tuesdays.